STERLING SILVER CURB NECKLACE. .925 Sterling Silver. 2.64 grams. Length :18 inches. Clasp: Spring clasp. Style: A classic Curb Chain (chain has a micro Box Car flat link) . Width:1.016mm. 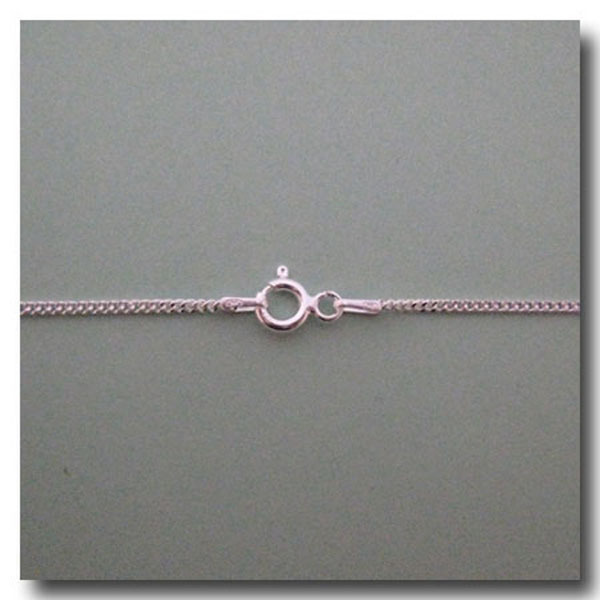 A light fine chain with flat links that lie flat. Easy to wear alone or add a charm. MADE IN ITALY of finest quality polished silver.